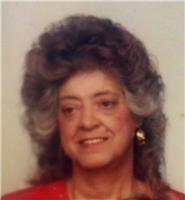 Funeral services for Elizabeth J. Davis, 78, of Mentor-on-the-Lake, will be 11 a.m. Friday. Mrs. Davis passed away Saturday, April 5, 2014, at Hospice of the Western Reserve in Cleveland. Born March 4, 1936, in Mt. Vernon, she had been a Lake County resident for the past 43 years, living in Concord Township before moving to Mentor-on-the-Lake. She was a homemaker and housewife, who enjoyed ceramics. She was the loving mother of Mark A. (fiancée, Luanne Paynick) Davis, Joseph M. (Valerie) Davis and Kevin A. Davis; cherished grandmother of Michael Gates, Sarah Davis and Danielle Davis; and friend of Lauretta Skaggs. She was preceded in death by her beloved husband, Marion H. Davis in 1999; son, Michael A. Davis; and parents, George and Mary Walker. Family will receive friends from 10 to 11 a.m. Friday at the funeral home prior to the service. Burial will be in Western Reserve Memorial Gardens in Chester Township.